Q. What are the standard sizes of aluminum structures? A. 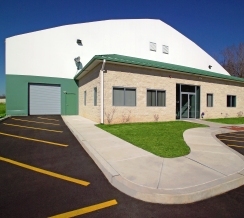 We have many different styles of aluminum buildings and have spanned up to 164 feet [50 m] wide. Q. What are the standard sizes of steel structures? A. 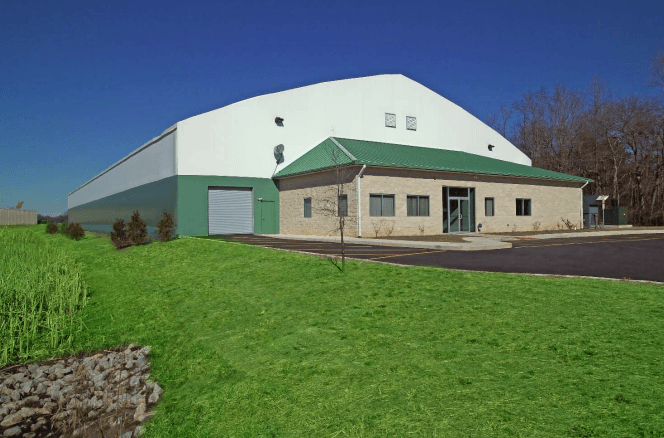 We have many different styles of steel buildings and have spanned up 275 feet [85 m] meters wide. Q. What types of projects are the structures used for normally? Q. How are the structures shipped? A. Structures are typically shipped on flat bed trailers or in standard 40′ ISO Sea Containers. The number of trucks or containers depends on the type of structure purchased or rented and the size of the structure. Q. Do multiple panels make up the single piece of fabric covering the structure? A. It can. We can offer either large one-piece designs or more modular panels in widths the same as column centers. Q. Are building permits required? A. In most circumstances building permits are required. 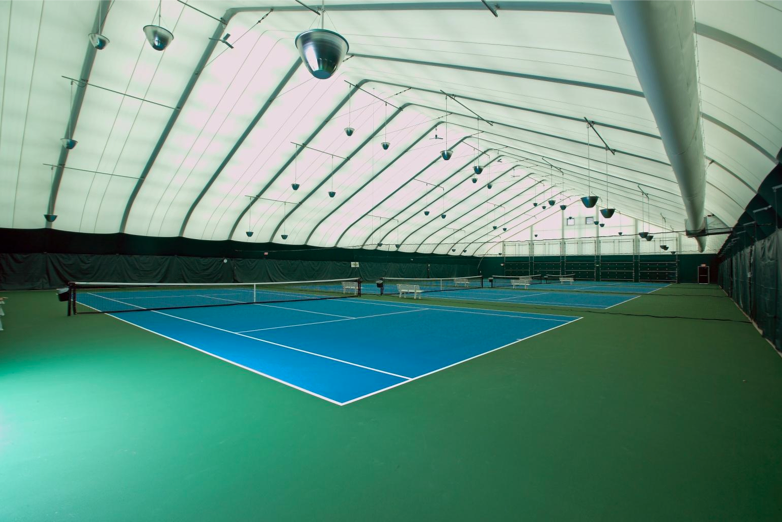 Universal Fabric Structures can help provide the documents you need to secure a building permit. Q. What accessories, doors or ventilation systems are available? A. Our structures are designed and constructed using the same methods as conventional brick or steel construction. The accessories, interior build out, finish details etc. are limited only by the imagination. Therefore, the same accessories you have seen on traditional structures-can be used on a Universal Structure. This holds true for doors, ventilation, HVAC, lights, insulation etc. Q. Can the structures be insulated to control temperature? A. 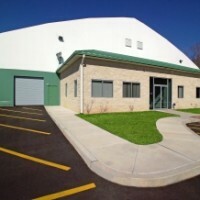 Yes, our buildings can be equipped with or without insulation depending on your needs. We have a number of insulation packages from R-11 reflective insulation to R-30 fiberglass batt. Q. Will a fabric structure meet wind and snow load requirements for my area? A. We have designed, engineered and installed our products in over 50 countries throughout the world and in the most extreme climates. From the heavy snow areas of British Columbia and Russia to southern Florida where the wind design load is 120MPH. Typical structure designs withstand extreme wind and snow conditions per the American Society of Civil Engineers ASCE 7-95 and have proven their viability in numerous locations throughout North America. In addition, the architectural membrane is certified to meet nationally recognized Fire Retardant standards. Q. 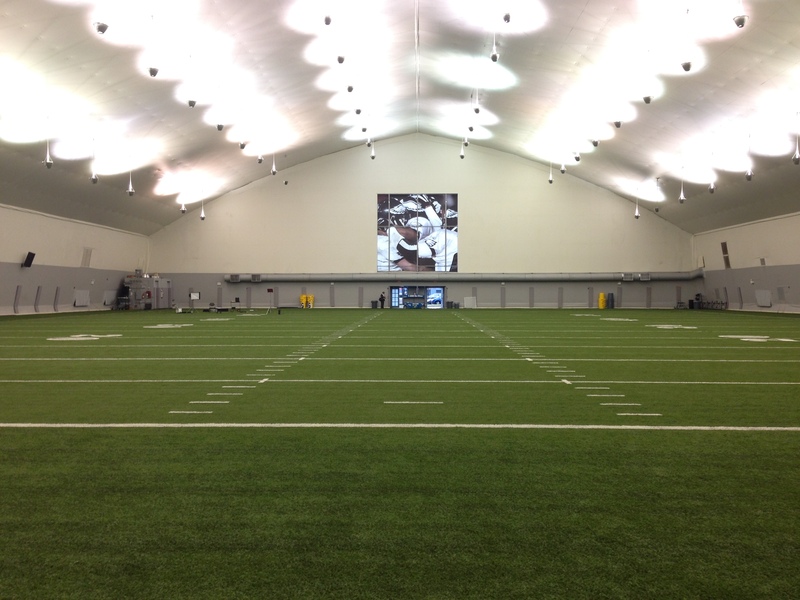 How does the cost of a fabric structure compare to conventional construction? A. 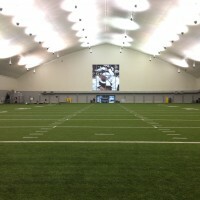 While there are many types of conventional structures that offer rock bottom prices and give little in return, you will find Universal Fabric Structures to be very competitive when you do an “apples to apples” comparison. In addition, by using premium materials and ISO-9001 quality certified production, Universal offers significant savings in installation and maintenance costs. 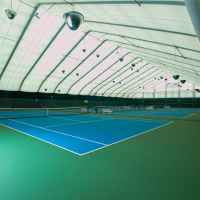 Certain applications receive unique benefits that only a tensioned fabric structure design can offer. We are the only manufacturer that provides solutions to meet every budget, so be sure to consider all of the advantages and benefits Universal offers when comparing manufacturers. 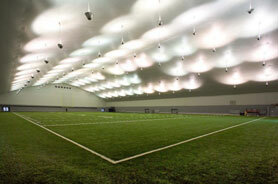 **Review our of how Universal Fabric Structures compares to other fabric structures companies! Q. What if I need something custom made? A. We are here to listen, evaluate and then provide cost effective solutions that will meet your timeframe, budget and exact needs. Our in-house Engineering and Design Team utilizes state of the art AutoCAD systems that allow us to provide timely and accurate solutions. Q. How long has Universal been in business? A. Universal Fabric Structures has been the leader is designing, engineering and manufacturing state of the art structure solutions for our clients since 1983. Universal Fabric Structures, Inc. is part of the Veldeman Group out of Bree, Belgium with offices located throughout the world. Q. Tell me about your service. Every one of our customers demands a quality product. We will continue to be successful and stay ahead of our competitors by providing benchmark service and support that all others are measured by.